With a learning disability that wasn’t diagnosed until college, I was not an early fan of books. That seems shocking to me now, considering how books have shaped my life and career since then. I can’t even remember my mom or dad reading to me. They had their hands full keeping my three older brothers injury-free, and were not always successful with that. So, learning to read was a true struggle for me once I got to school. I started first grade in the lowest reading group, and I hated the teasing that went along with it. Stubborn, I spent a few weeks reading through our home encyclopedias and whatever novels I could find. I would teach myself to read better. I am not, however, claiming I taught myself to read in just a few weeks. It was more like learning to translate what I was seeing so it matched what the teachers had been trying to get across. I still am mostly a whole-word reader, which can lead to some hilarious misreads when I’m tired. Once I made that leap in reading comprehension, I became a devotee of libraries and books. I do remember one title that I checked out over and over; the lending card was just my name followed by a list of dates. It was a collection of dog stories, and my favorite was The Dog of Pompeii by Louis Untermeyer. I was an absolutely dog-crazy child (who bears the scars from being slow to learn not all dogs were child-crazy) and this story was so tragic. Exactly the kind of tearjerker that lonely, imaginative children fixate on. I would spend hours dreaming about how much I would love a dog if I had one. 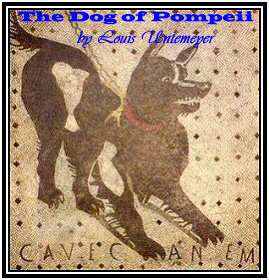 If you haven’t read The Dog of Pompeii, you can find it online fairly easily. It tells about a street dog and an orphaned blind boy–and I do mean “tells,” rather than shows, as it was written in 1915–but the setting of Pompeii and its disastrous volcanic eruption steps up the suspense, and it just broke my childhood heart that the dog perished while trying to steal a raisin cake for his boy. I think it stuck with me so long because I found it so amazing that words could bring to life a time in ancient history, and could make me feel so much. This story also started a lifelong interest in history and historical fiction for me (I can’t bear to read sad-dog stories any longer, since I’ve come across too many real-life cases in animal rescue). I’m currently rewriting a historical ghost story–the first book I wrote–and I’m loving that I get to reconnect with that child who so desperately wanted to time travel and save that dog. It just took me a few decades to learn that the best way to do that was with a pen, and not in an as-yet-uninvented time machine! Angelica R. Jackson is a writer and avid naturalist living in California. In 2012, she started Pens for Paws Auction, which features critiques and swag from agents and authors to raise money for a no-kill, cage-free cat sanctuary. She also serves as the Illustrator Coordinator for Society of Children's Book Writers and Illustrators CA North/Central region. 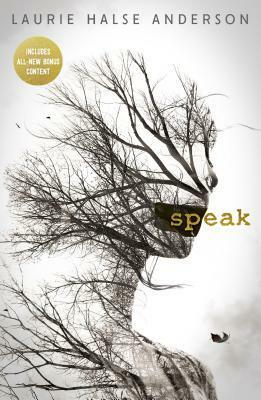 Her debut novel is Crow's Rest, a darkly funny young adult urban fantasy.